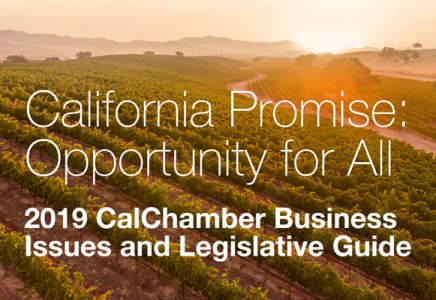 An opportunity to get better acquainted with members of the 2019 legislative freshman class was among the agenda items at the California Chamber of Commerce Public Affairs Conference in Huntington Beach earlier this week. Also on the agenda were discussions about California’s 2018 mid-term election results and their meaning for the state. Opening the conference on the afternoon of Tuesday, November 27 was a presentation by PSB Research pollsters Robert Green and Adam Rosenblatt based on the annual CalChamber survey of California voter attitudes. The CalChamber Poll found that California voters are feeling better about the economy, but are still anxious about the cost of living. In addition to more new jobs overall, voters statewide say that most of the jobs being created lead to higher pay, as opposed to being dead-end jobs. A majority of residents in every region of the state, except the Inland Empire, agreed that most new jobs created may lead to the middle class. For more details see the recent Top Story. Next in the day was a panel moderated by Martin Wilson, CalChamber executive vice president, public affairs. Panelists Andrew Acosta of Acosta Consulting, Jessica Millan Patterson of California Trailblazers, and Christy Wilson of Wilson Public Relations reviewed the results of California campaigns. CalChamber President and CEO Allan Zaremberg moderated a session with a bipartisan group of newly elected members of the Senate and Assembly—the 2019 freshman class, which will be sworn in on December 3. The morning of Wednesday, November 28 began with a review of the California Consumer Privacy Act, moderated by CalChamber Policy Advocate Sarah Boot and featuring panelists Tanya Forsheit, Frankfurt Kurnit Klein & Selz PC, and Eric Goldman, Santa Clara University School of Law. Ms. Forsheit and Prof. Goldman detailed some of the absurd and dangerous consequences of the new privacy law – particularly concerning the compliance costs to small businesses, the expected surge in vexatious litigation, and the years of uncertainty facing businesses in coming to terms with an extreme and poorly drafted measure. At mid-morning Wednesday, the discussion moved on to “Climate Resiliency and Critical Infrastructure.” Panelists included Jim Branham, Sierra Nevada Conservancy; Adrian Covert, Bay Area Council; and Brandon Goshi, The Metropolitan Water District of Southern California. The moderator was Adam Regele, CalChamber environmental policy advocate. Panelists challenged the Legislature to address new climate realities that recognize more variable precipitation, which will likely require new water storage, and more frequent and intense wildfires, which will require more active forest management and new land use regimes. A second panel covered the same topic, but featured the expertise of lawmakers, Panelists were Senator-Elect Brian Jones, Assemblymember Cecilia Aguiar-Curry, Assemblymember Tom Daly, Assemblymember Sharon Quirk-Silva and Assemblymember Rudy Salas. Leah Silverthorn, CalChamber climate change policy advocate, moderated the panel. Rob Stutzman of Stutzman Public Affairs moderated as top political pundits presented pithy political insights about the 2020 presidential election. The duo at this luncheon session were Paul Begala, Democratic political analyst and commentator for CNN; and Mike Murphy, a Republican media consultant and partner in the Revolution Agency. Following lunch, Zaremberg moderated a discussion about California and the national forecast with The Honorable Willie L. Brown, Jr., former speaker of the California State Assembly and former mayor of San Francisco. 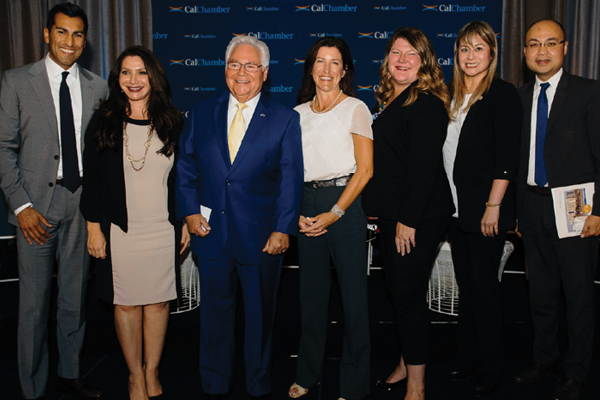 CalChamber Executive Vice President of Policy Jennifer Barrera moderated the final legislative panel which provided a preview of the legislative priorities for the class of 2019/2020. Panelists included: Senator Steve Glazer (D-Contra Costa), Senator Scott Wilk (R-Antelope Valley), Assemblymember Vince Fong (R-Bakersfield), Assemblymember Jacqui Irwin (D-Thousand Oaks) and Assemblymember Kevin Kiley (R-Granite Bay). More conference photos will appear online and in the next edition of CalChamber’s Alert newsletter. See #PAConference18 for tweets posted during the conference.